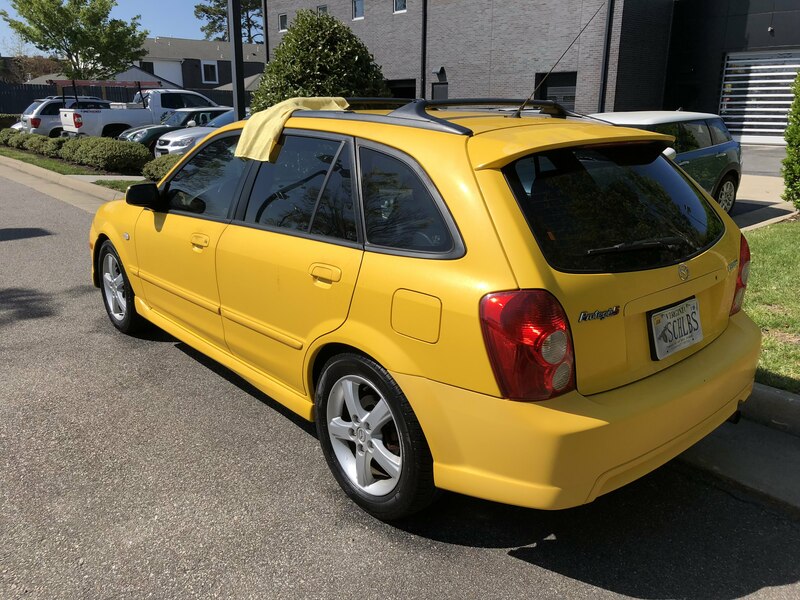 Hello all, I wanted to document and date all of my mods and join a car community. I am currently a senior, studying finance with a concentration in risk management and insurance and a minor in marketing, at Old Dominion University in Norfolk, VA. I currently work at a local BMW/MINI dealership as a service porter . I've had an interest in cars, motorcycles, and airplanes as long as I can remember. 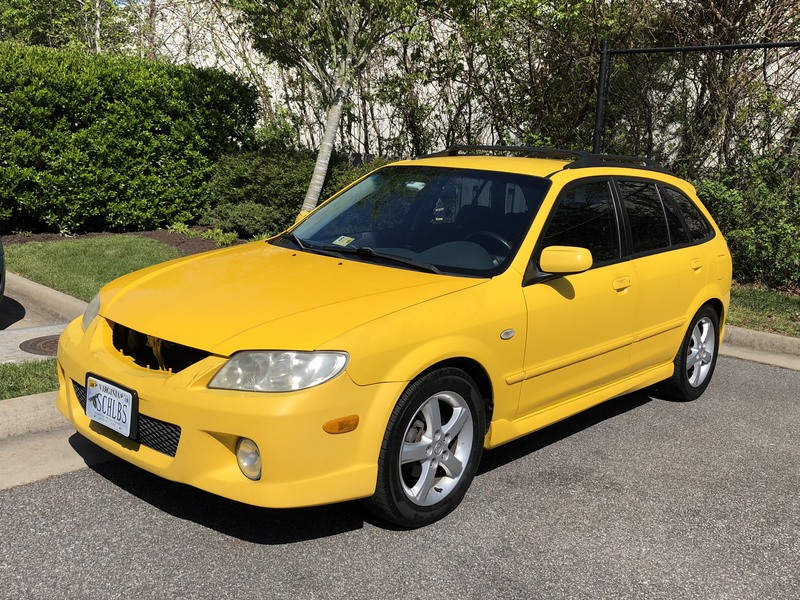 I currently own a 2002 F-150 with more problems than I can name, a 2007 Yamaha R6, and my new-to-me Vivid Yellow 2003 Protege5 (nicknamed School Bus). I purchased it on 1/22/18 from a nice local guy with 230k miles. I was skeptical at first, but the man who owned it spent 10 minutes on the phone with a laundry list of parts he had replaced within the last 2 years. So far I've had the car for 3k miles with zero problems (minus the few from just having a very old car), but overall, it is a solid car and I'm satisfied with it. 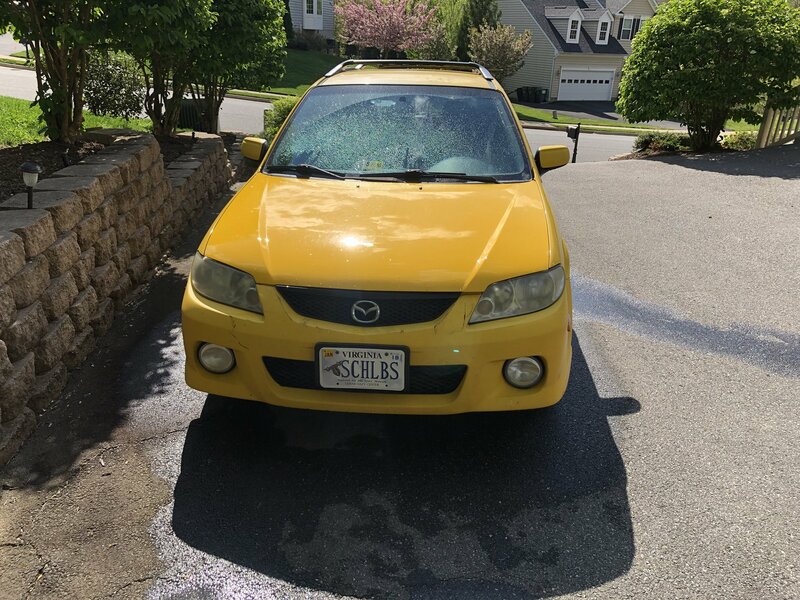 It is my first manual vehicle and first one I want to get into modding. I did end up rear ending a lady on 264 about a month after I got the car, and did some damage to the vehicle. Completely destroyed the hood and cracked the bumper. 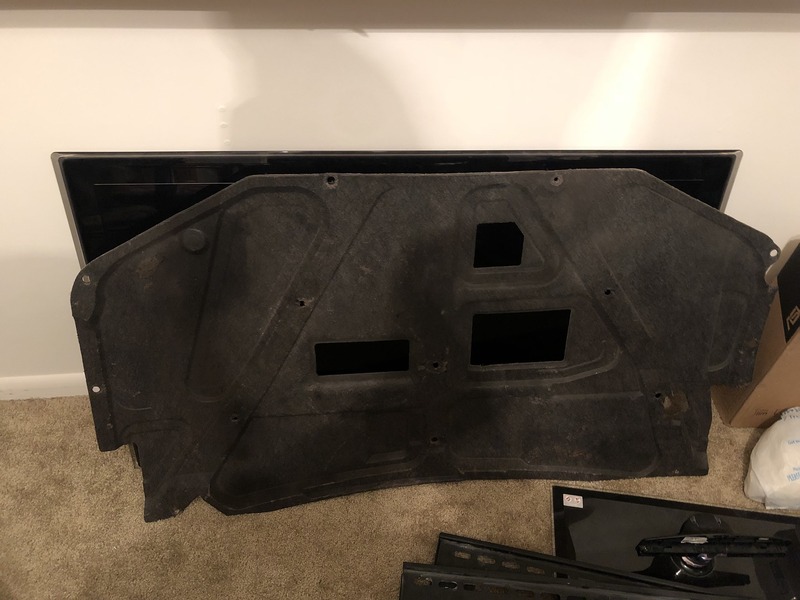 Got a new hood from Partsgeek (which got shipped with the corners bent), still haven't gotten the bumper or grill, as I think new grills are too much IMO, but determined to wrap the car, and get a junkyard bumper since it is $200 cheaper and I don't need to paint. I've determined this is going to be the car that teaches me about cars. I want to eventually turbo it or grab a MSP engine and drop in it, but thats once this engine goes. With that being said, below is the list of things I have done, and things I want to do. I will try to come back here and update as much as possible, as budget is tight and time is scarce. Last edited by Gabe710; 04-23-2018 at 10:18 AM. Pictures! BTW the Msp engine and p5 are the same, minus the turbo bits. noob question, but i cant figure out how to add pics.. is there an easy way? I thought I replied.. But use an image hosting site such as imgur. I'm not sure if it still works, but [img]photo url here [/img] was how I used to do it. Sunburst yellow is a really pretty color for these things. Really nice looking ride so far! I'm loving the car so far! 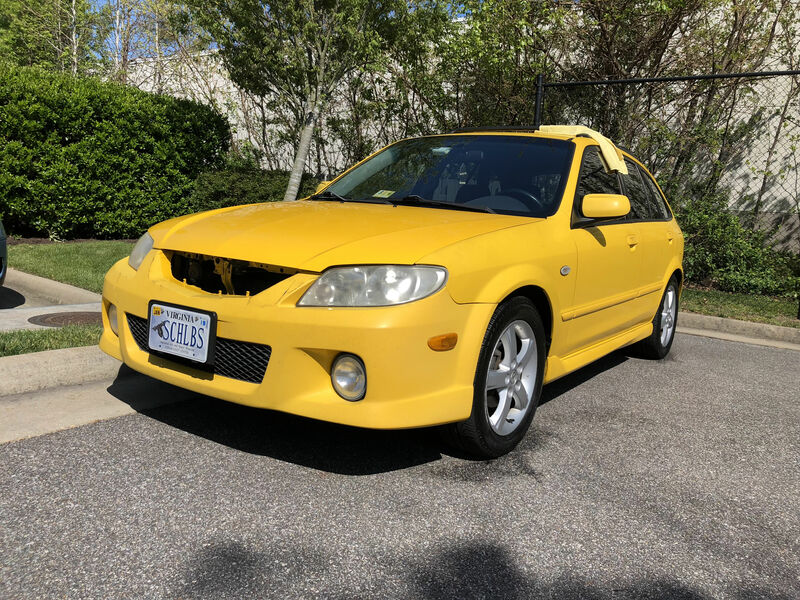 Went to a local Mazda dealership today for a few Misc parts I needed and managed to only get one as the rest no longer exist lol. 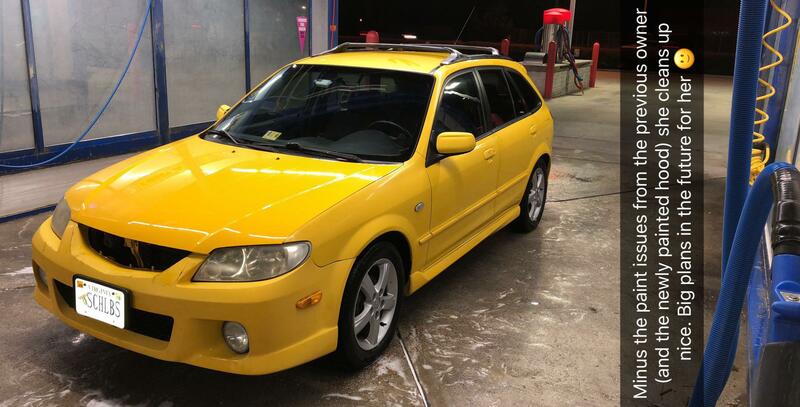 As for the grill, I just checked out the DGM and its a little more than I want to spend right now. I'm getting one from a junkyard this weekend. When I ran into the lady it got obliterated all over the highway. I'm still finding pieces all over my car (I ripped the bits out and threw them in the back seat). 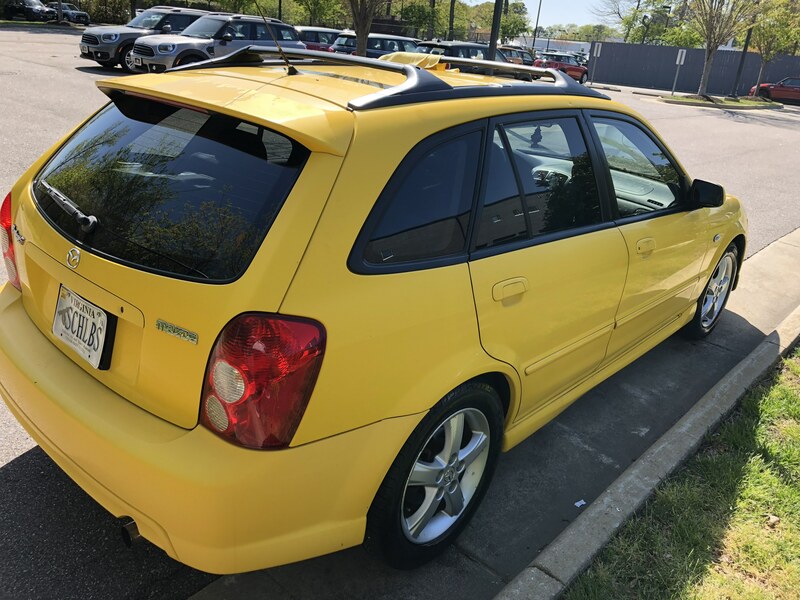 I had a yellow P5 rental before I bought my Laser Blue - EVERYBODY wanted to race the yellow one! and steering knuckles from them. 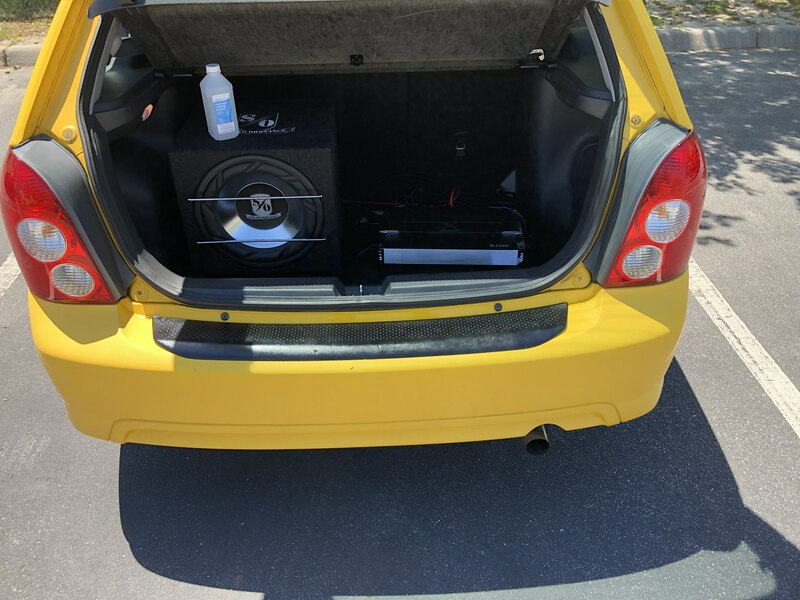 If aftermarket will do RockAuto is your friend. Last edited by Gabe710; 04-30-2018 at 12:36 PM. Managed to snag a grill outta a pick a part today. You were right, looks so much better! Had time to paint the rear bumper guard and install the exhaust (working at a car dealership has its perks). Exhaust took me 15 minutes to install, which isn't bad considering it is the first time I've ever done it. I thought the HKS exhaust online was cat back, not just axle back. Still need to find the pipes from the cat to the axle. Basically, it is not loud enough. Does sound a little louder, and is throaty, not raspy like some other 4 cyl owners (cough cough) but happy for now! If you want louder, remove he two bolts and take out the reducer on the rear muffler. Try that and see if you notice a difference in sound. I am starting toi love this car more and more. I can't stop looking at parts and visualizing the car and what I want to do. 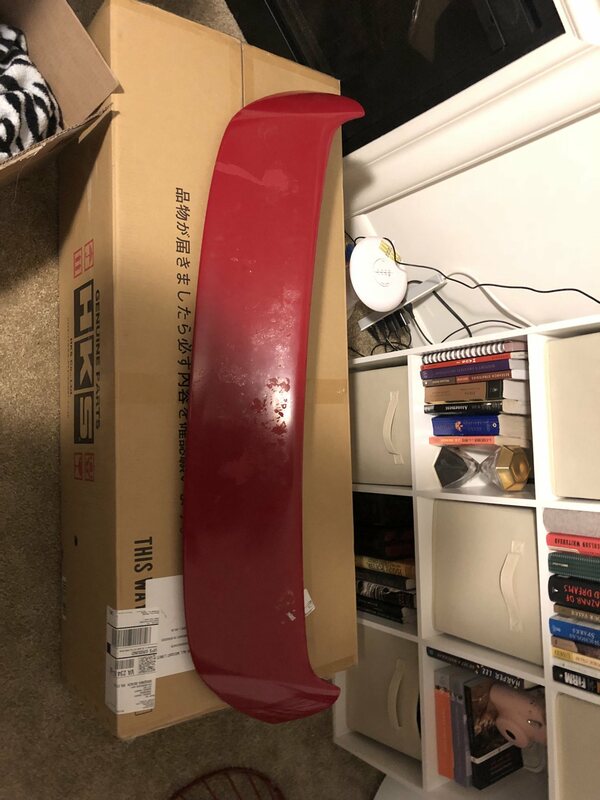 I've been searching for a wing/spoiler as mine is fading and the clear coat is cracking and falling off. I want to repaint it, but I've never painted something like that and wanted another one in case I FUBR it. I had to take a trip to Georgia to help a friend move his second car, and was searching the local pull a parts and found a P5 that was dropped off there the day before I was going down there. I got there and a beautiful, unmolested red P5 was sitting there! Got the wing and hood liner off of it and will be going on my car later this summer. I also did the tribute washer nozzles upgrade (not too happy with it, doesn't have the coverage I'd like, but definitely better than the stock ones.) Slowly but surely making this car what I want it to be. I found a front lip, but need a front bumper and found a wing on here i LOVE but like the cowl hood, it is a unicorn and barely exists.